ARE YOU LIVING UNDER A GENERATIONAL CURSE? COULD YOU BE DEMONICALLY OPPRESSED AND NOT KNOW? FORGIVENESS, THE KEY TO FREEDOM – VICTORY! IS UNFORGIVENESS MAKING YOU UNHAPPY AND BITTER? THE CHURCH HAS LEFT ITS FIRST LOVE! THE POWERFUL GIFT OF DISCERNMENT – WHAT IS IT REALLY? WHY DO PEOPLE SUFFER/WHY DOES GOD ALLOW TRUE CHRISTIANS TO SUFFER? LORD, BRING MY THOUGHTS UNDER SUBJECTION! “For the weapons of our warfare are not carnal but mighty in God for pulling down strongholds, casting down arguments and every high thing that exalts itself against the knowledge of God, bringing every thought into captivity to the obedience of Christ” (2 Corinthians 10:4, 5). 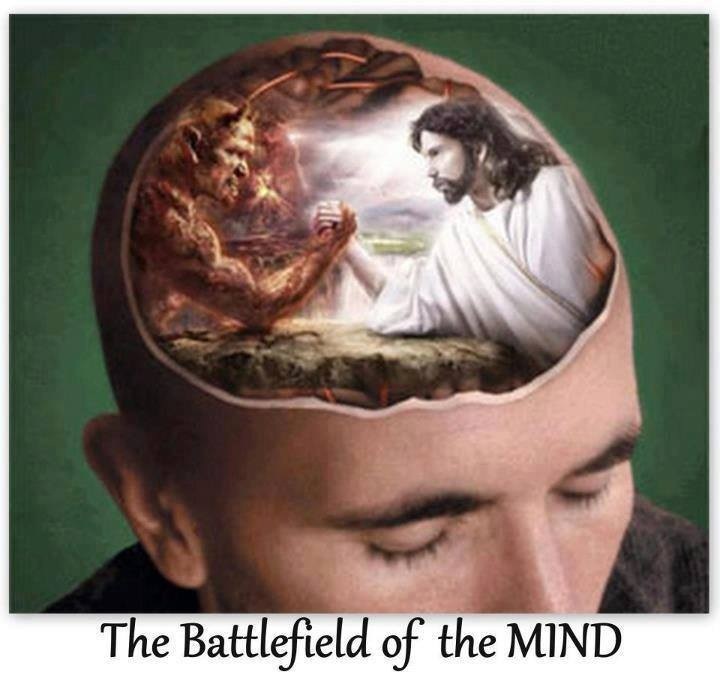 I believe that the biggest battle a child of God has, is with their mind, meaning how to control the stray thoughts that invade our minds and distract us from serving the Lord, and focusing on the things of God as we ought. Sometimes these thoughts come so intense and real they make us feel dirty, or that we are no longer saved. These thoughts can come at the most unwanted times, such as when we are praying or reading the Bible. They can come when we are feeling our most holiest, and when that happens we rapidly descend from our mountain top of joy into a valley of guilt, depression and frustration. So what do we do when these carnal and unwelcome thoughts raise their sinister head? Well, we must first remember that the weapons of our warfare are not carnal, and that we are not fighting against mere flesh and blood, but against principalities, against powers, against the rulers of the darkness of this world. Therefore, we must utilize our most powerful weapon-the Word of God. We must know scripture, and learn how to pray scripture. There are times when the devil and his demons will remind us our past lives before the Lord saved us. When the devil does remind you of your past you must remind him of his future-which is hell and the lake of fire and brimstone. When sinful thoughts come into your mind don’t allow yourself to dwell on them, because remember, sin starts in the mind (and the heart). So you can bring your thoughts into captivity to the obedience of Christ. THOUGHTS CAN LEAD TO SIN! ← GLOBAL DAY OF PRAYER AND REPENTANCE-SUNDAY, 8 JUNE 2014! Thank you so much for your very insightful and inspired comments. May God richly bless you. PASTORS WILL BE HELD ACCOUNTABLE FOR THEIR SHEEP! WHAT THE DEVIL MEANS FOR EVIL, GOD WILL TURN AROUND FOR YOUR GOOD! I live In Newlands East, South Africa and am the pastor of Mission of Hope Ministries International. I am the author of two books, Evolotion of a Revolution and Moving In the Power of God in the 21st Century. I am also a PROPHET of the Most High God. I have been sent by God to the nations.